In recent decades, antitrust investigations and cases targeting mergers—including those involving Google, Ticketmaster, and much of the domestic airline industry—have reshaped industries and changed business practices profoundly. And yet there has been a relative dearth of detailed evaluations of the effects of mergers and the effectiveness of merger policy. 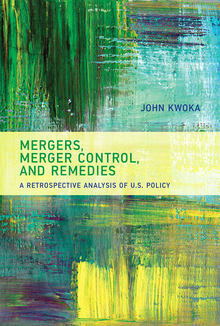 In this book, John Kwoka, a noted authority on industrial organization, examines all reliable empirical studies of the effect of specific mergers and develops entirely new information about the policies and remedies of antitrust agencies regarding these mergers. Combined with data on outcomes, this policy information enables analysis of, and creates new insights into, mergers, merger policies, and the effectiveness of remedies in preventing anticompetitive outcomes. After an overview of mergers, merger policy, and a common approach to merger analysis, Kwoka offers a detailed analysis of the studied mergers, relevant policies, and chosen remedies. Kwoka finds, first and foremost, that most of the studied mergers resulted in competitive harm, usually in the form of higher product prices but also with respect to various non-price outcomes. Other important findings include the fact that joint ventures and code sharing arrangements do not result in such harm and that policies intended to remedy mergers—especially conduct remedies—are not generally effective in restraining price increases. The book’s uniquely comprehensive analysis advances our understanding of merger decisions and policies, suggests policy improvements for competition agencies and remedies, and points the way to future research.